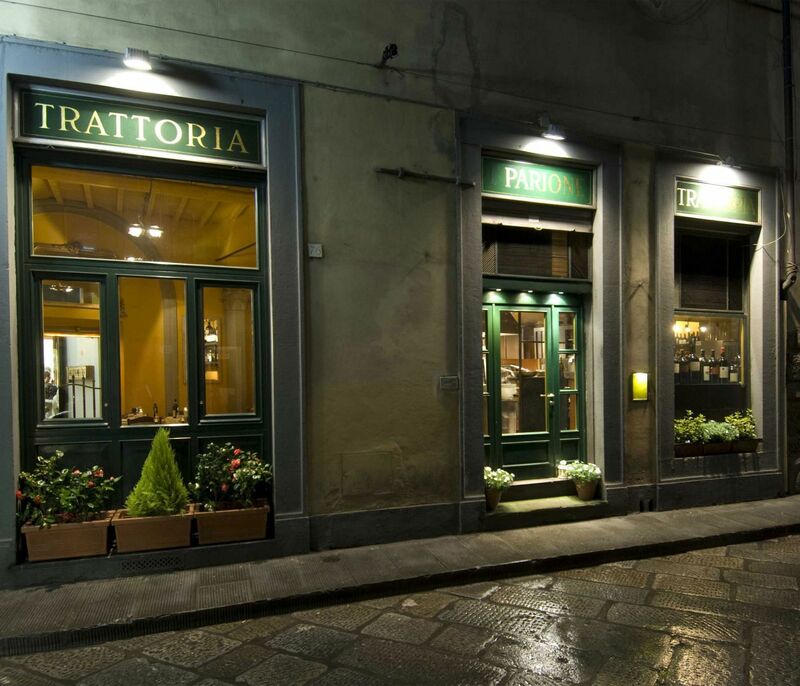 The restaurants in Florence are endless and choosing a good one might prove to be a bit of a challenge, especially for those who have never been. Talk about old-school charm. 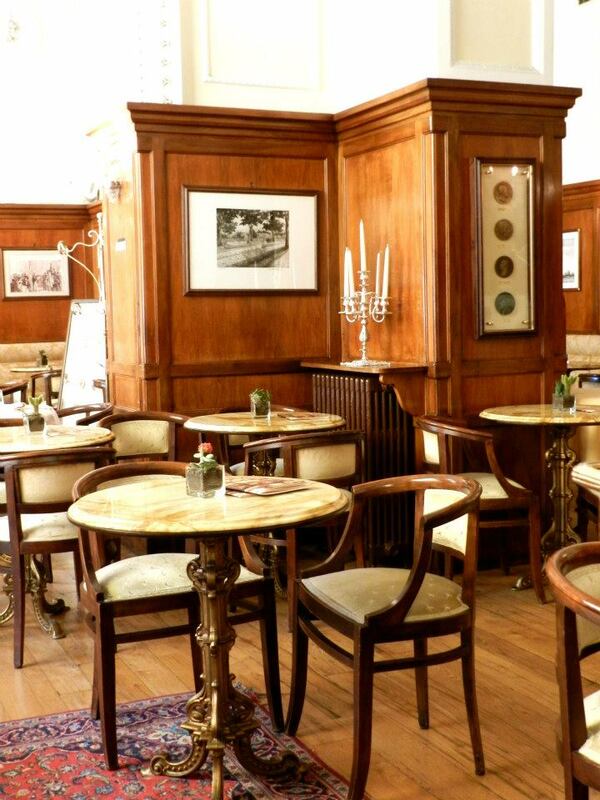 The Gilli café has been around since 1733! 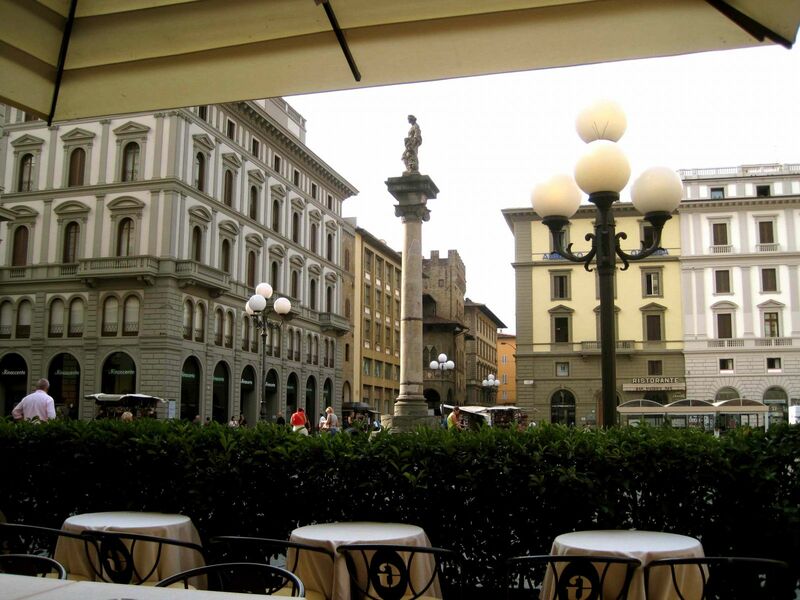 It is located in one of the busiest piazzas in Florence - Piazza della Repubblica. It is a bit of a tourist attraction, but it doesn't matter; I love it. A prominent hundred-year-old clock dominates the stylish interior and you also can’t help but notice all the beautiful wood and tiled floors. 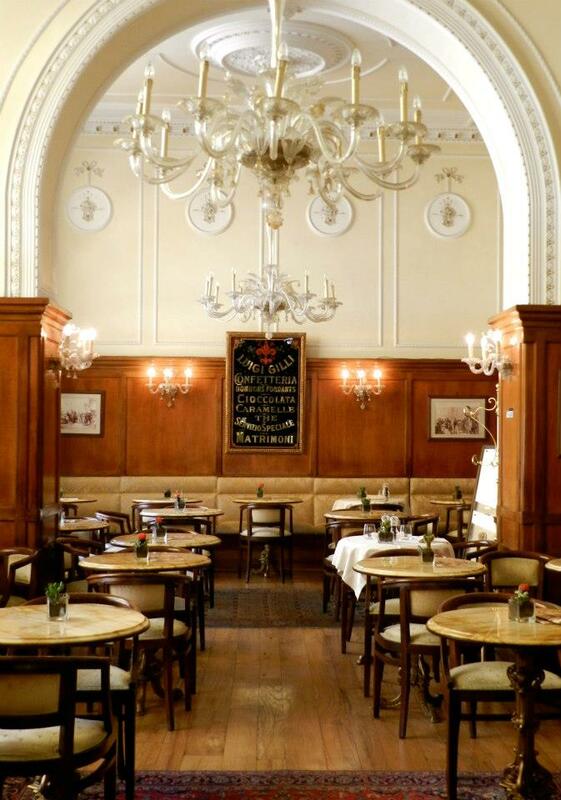 It is elegant, has a tasty menu and is absolutely perfect for people-watching. My husband and I sat for hours outside, peeking at people over the foliage that surrounds the terrace. 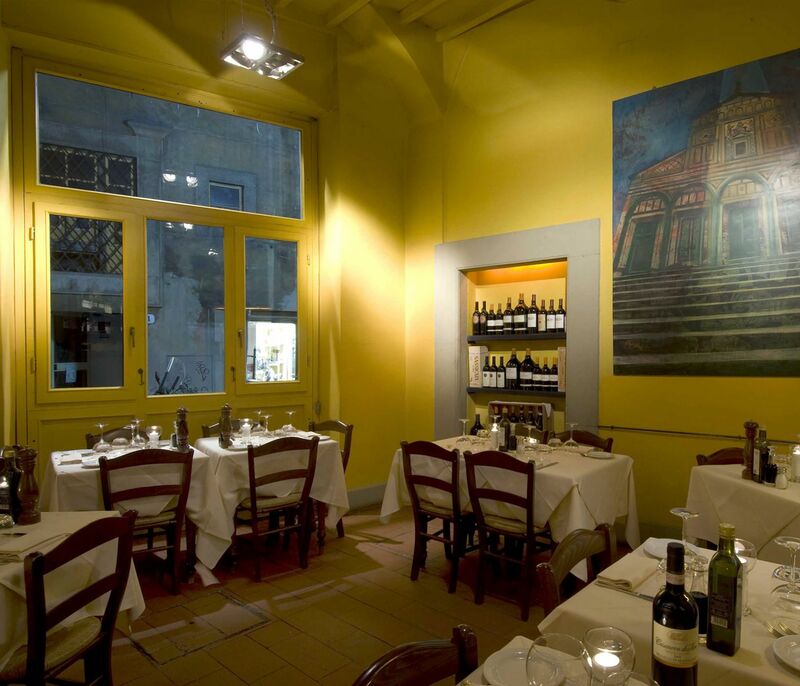 Seeing as La Giostra sits on a narrow side street, you might never guess it existed during the day. The garage-style door is down, and besides the name it wouldn't occur to you that you were standing in front of one of Florence's best restaurants. At night, the scenery completely changes. The garage door goes up, the street shuts down, tables and chairs are set, and boom: La Giostra! We were starving when we arrived and ordered accordingly. Big mistake! Actually, I would never call ordering anything off their menu a mistake. What I mean is that there was plenty of food and ordering so much wasn't necessary. We were welcomed with a limoncello and plate of breads and antipastos, which filled us up before our appetizers even arrived. Everything was excellent. After our dinner we had no choice but to walk it off. 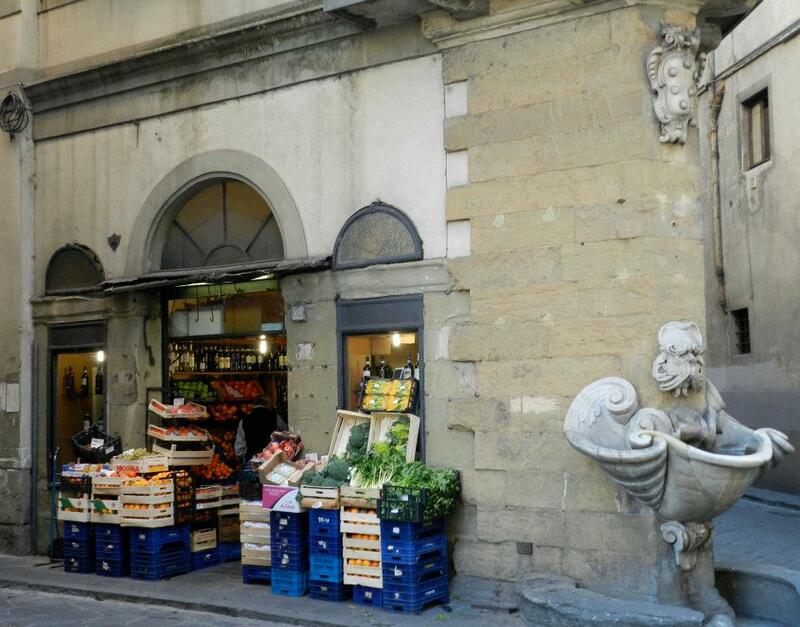 Not such a bad thing when you're in the heart of Florence. 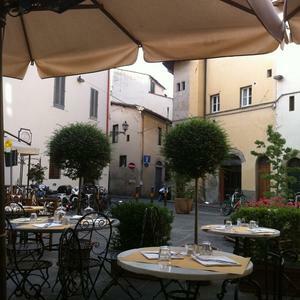 Located in a little square, near my favourite fountain in Florence, you will find Trattoria 4 Leoni. A cozy place with beautiful interior dining, as well as exterior. 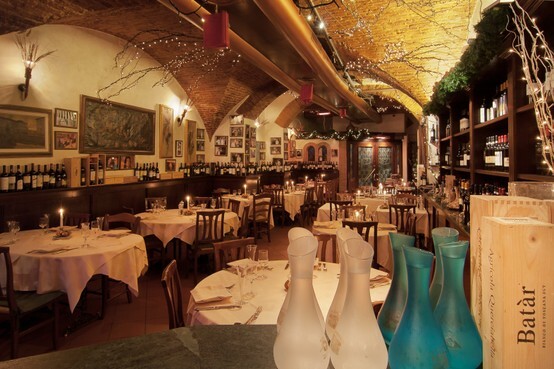 The food is traditional Italian, aka perfection. 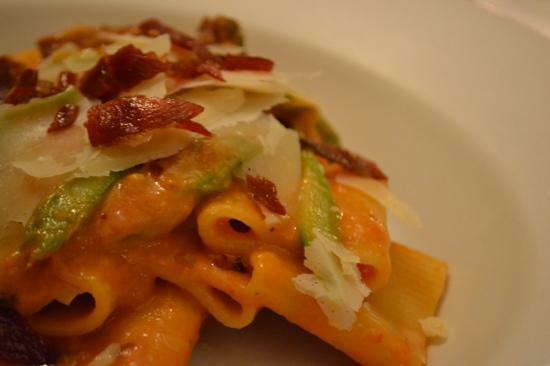 My husband and I had the most simple, yet delicious, pasta accompanied with a beautiful bottle of Brunello. While traveling in Italy it is amazing how wine quickly becomes a daily staple. Hemingway said it best, "Drinking wine was not a snobbism or a sign of sophistication or a cult; it was as natural as eating and to me as necessary". 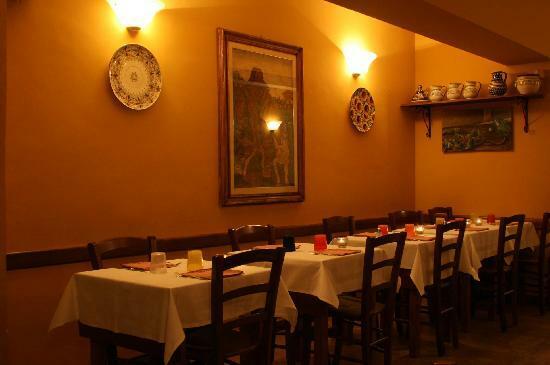 It is difficult not to overeat in a place like Trattoria l'Parione. The food was outstanding - fantastic! The staff were welcoming and friendly giving the restaurant a great vibe. It's centrally located, but situated on a side street making it feel a little less touristy. Book a table - it get's busy! You gotta love Twitter! 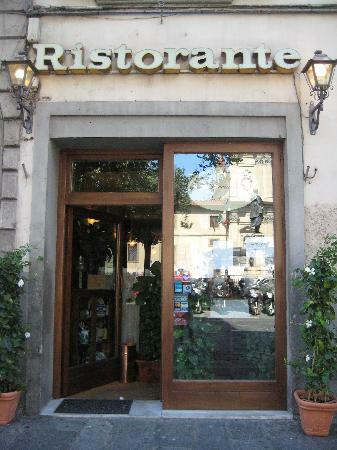 I tweeted that I was Florence bound and within two seconds, Ristorante Accademia popped up. And I'm so glad they did! 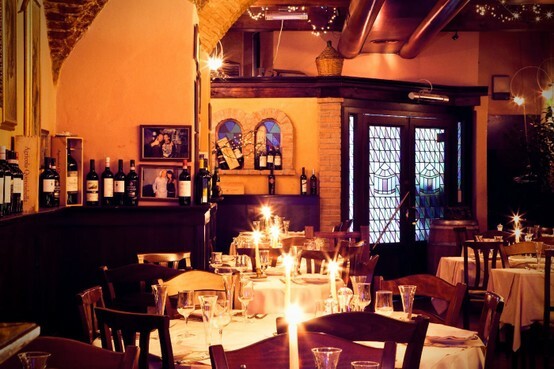 This wonderful family-run restaurant is your typical Italian eatery. 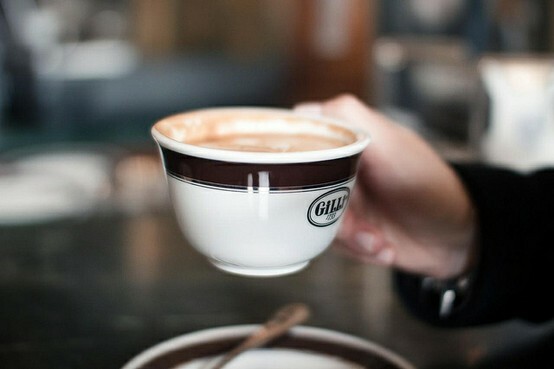 The atmosphere is very friendly and the décor is cozy. My friend Lynne slurped up her pasta and I wolfed down my pizza within minutes. Dee-licious! When we guzzled our Grand Cru with the same amount of gust, however, we had turned into a bit of a civilized mess before we knew it, I'm afraid; we were two very full, very giddy ladies. Thank God it was a bit of a walk back to our hotel. The fresh air was required! Without question, I will return.